It's not all over yet. 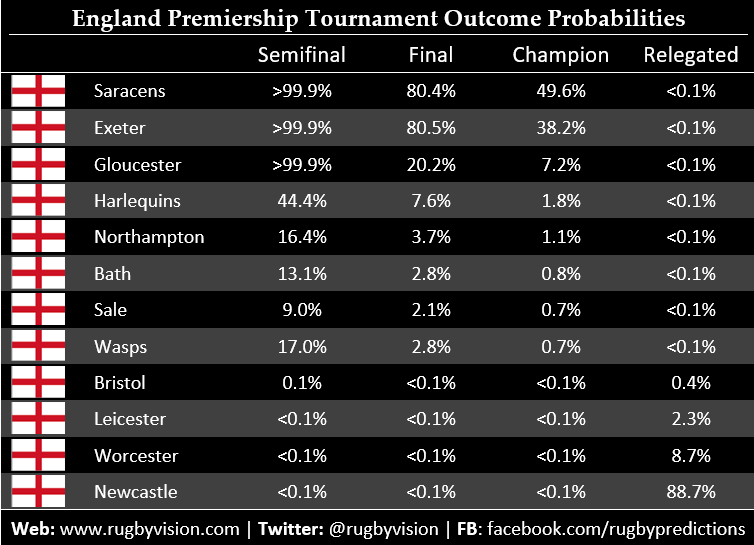 With Worcs getting a bonus point win and Bristol 20 -19 up with only a few minutes left we are still in the mix. Fancy Falcons to get 2 wins in their last 3 games. We have to beat Briz - we need to be ahead of both them and Gosforth on the last day. Yes, no time for backslapping just yet. As it stands we still need a win and something from one of the other two, job not done yet. There was a time when that statement from Pat Lam (I accept it was probably taken out of context, but still) could have been blown up, put on the dressing room wall and would have provoked a reaction. Now I'm not so sure, but we can hope. Lam's positivity and that of Josh Adams are a refreshing change.